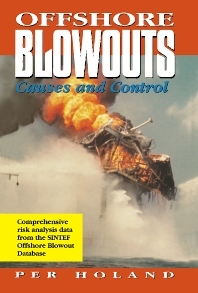 This book, based on the SINTEF Offshore Blowout Database, thoroughly examines U.S. Gulf of Mexico and Norwegian and UK North Sea blowouts that occurred from 1980 to 1994. This book reveals the operations that were in progress at the onset of the blowouts and helps you learn from the mistakes of others. Introduction. Blowouts and Fatal Accident Rates. Blowout Barriers and Analyses. SINTEF Offshore Blowout Database. Overview of Blowout Data. Drilling Blowouts. Completion Blowouts. Workover Blowouts. Production Blowouts. Wireline Blowouts. U.S. Gulf of Mexico Outer Continental Shelf vs. North Sea Blowout Frequencies. Glossary. References. Per Holand, Ph.D., is senior research engineer at SINTEF Industrial Management, Trondheim, Norway, where he performs safety and reliability evaluations of technical offshore systems.